To accompany my my little red sewing machine on the inside here with me, I made up some “activity packs” in advance that my mom or James could just bring to me when I got the sewing itch. Into each gallon ziploc bag went all the cut fabric pieces for that project, plus the thread and bobbin, any notions, and the scanned line drawing & instructions. That way I should hopefully just be able to get down to business when the feeling strikes me without having to do all the boring prep stuff! First up is already in my activity drawer (I’ve only got four drawers and a tiny wardobe in the room, so one is designated for fun! 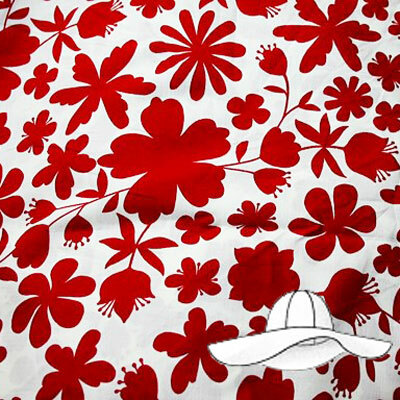 ), a hat from the May 09 Burda, with all the pattern pieces cut out in the red & white floral cotton poplin, with all the appropriate pieces fused to some super heavyweight canvas interfacing. First up is already in my activity drawer (I’ve only got four drawers and a tiny wardrobe in the room, so one is designated for fun! 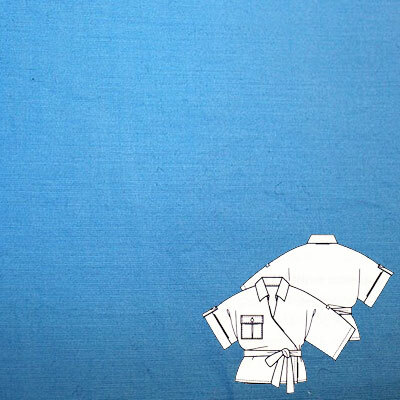 ), a hat from the May 09 Burda, with all the pattern pieces cut out in the red & white floral cotton poplin, with all the appropriate pieces fused to some super heavyweight canvas interfacing. 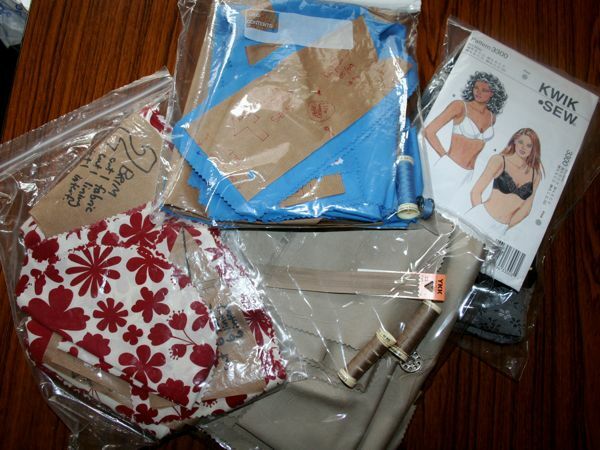 And the Kantje Boord lingerie kit from Sigrid is an activity pack on its own, with just some underwires and my Kwik Sew bra and KnipMode pants patterns thrown in! (Not pictured is the first issue of Sew, a new UK magazine with a full dress pattern enclosed in a covermount envelope. Only because I devoured it before my admission). In the pile was the latest issue of Sew Hip, which has gotten better since the debut issue, but still doesn’t really excite me, Sewing World magazine, which I’ve thumbed through many times at the newsagents but never ended up buying before. For me, the best part was Lisa from U-handbag‘s monthly bag pattern and the big order form for discounted envelope patterns (I’m seriously considering buying the Simplicity 1940s retro pattern for £2.95 and free shipping), but I got the distinct impression while reading through the magazine that I’m 20 years younger, three kids fewer, and countlessly more internet savvy than their target audience. 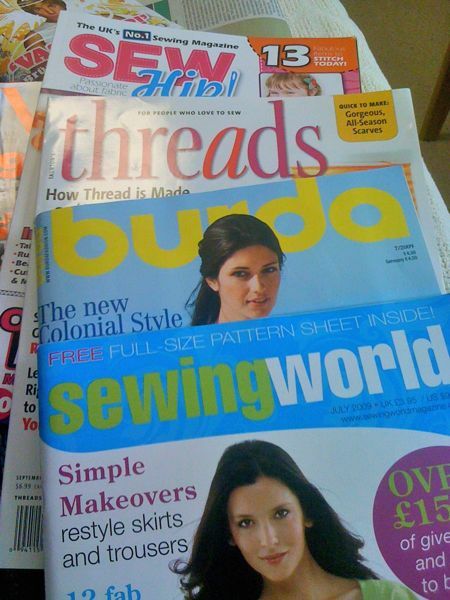 And rounding out the sewing magazine pile were the new issues of Threads and Burda, even though the latter’s July issue left me yawning and bored. But that’s okay, because my fascinating and exhilirating Saturday night in South London consisted of needlework! ha! 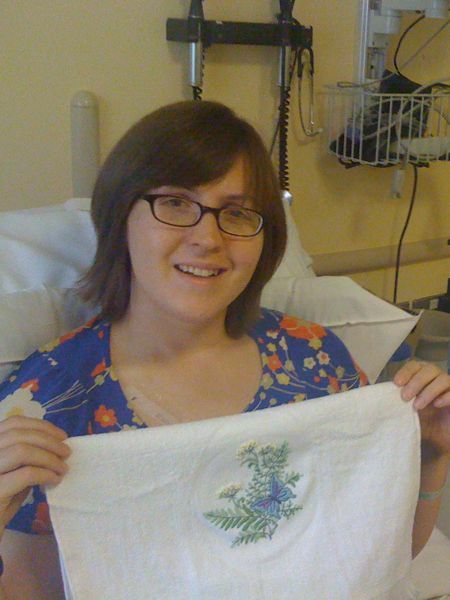 My mom bought me an embroidery/crewel kit with a washaway stamped butterfly and foliage print on two hand towels, and I did all of the above in essentially one day (I only did an hour or so the day before and the day after). I’m not crazy in love with the print, but I enjoyed doing it and I figure they’d make nice hostess gifts in the future. And I’ve still got one more to do eventually. And I opened my first parcel from a FehrTrade reader today, so I wanted to say thank you to Rachel for sending me some of her big snap stash (“big” in that the snaps are 25mm wide!). 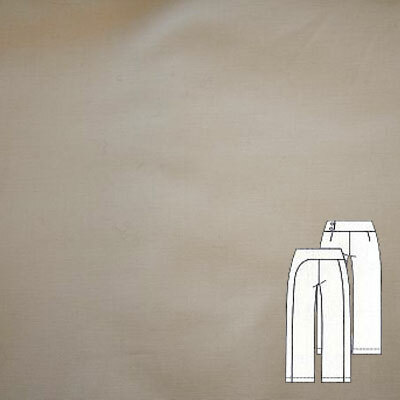 I am so ready for Burda’s jackets now – I could never find those before! Oh yeah, and did anyone else spot that The Guardian newspaper are giving away a free Matthew Williamson kaftan pattern pdf?? 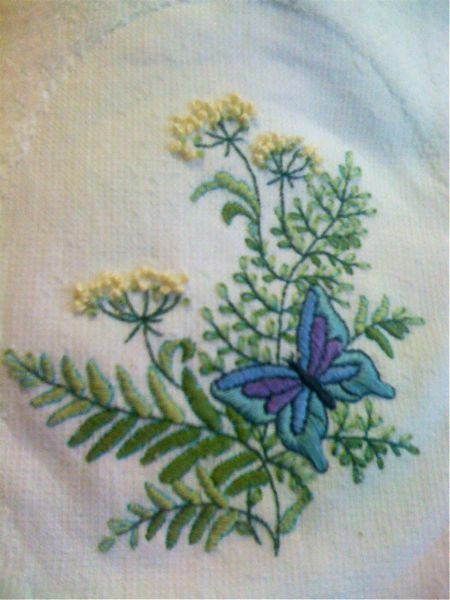 Separator image Posted in In Progress and tagged with embroidery, home-dec, hospital, magazine.